The Geisel Library is one of the busiest places on the UC San Diego campus, especially during finals week. Students pack the tables, group study rooms, and couches. But the space isn’t the only reason. It’s also because it’s the largest computer-lab installation on campus. 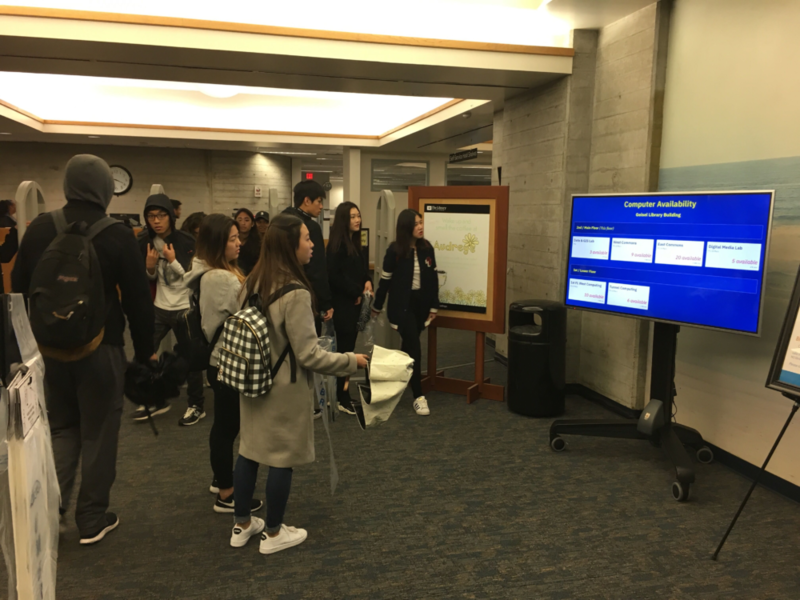 The influx of students at finals always puts the UC San Diego Library IT staff on high alert, but it also requires an innovative eye to see how we can better use the technology we have and help students find what they’re looking for. Many times, what they’re looking for is simple –a computer or a study space. During finals, students are scouring the floors seeking an available computer or a place to set down their laptop. Since August 2017, the UC San Diego Library had been beta testing a program called Waitz that installed occupancy sensors on each floor. Waitz sensors are unique in that they provide occupancy estimates by measuring mobile device signals (similar to bluetooth/wifi beacons). 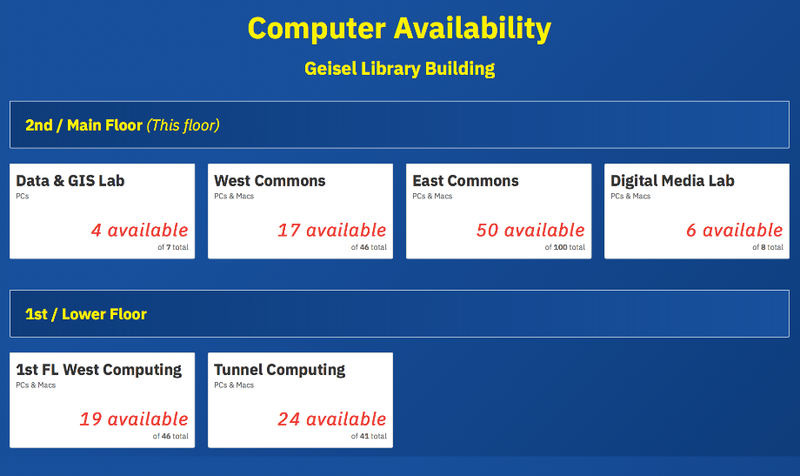 This information was put on the library’s homepage to try to drive student traffic to less occupied areas for study space. However, the Waitz data didn’t help with the availability of actual workstations, and we knew this was a common frustration for students. Our Endpoint Engineering team knew this information was available through Labstats –a software platform that monitors real-time computer availability and application utilization (i.e., Google Chrome, Matlab, Microsoft Word, etc). The question was if they could leverage this data to provide real-time updates that could move students into areas with more available computers. In November 2018 there were a lot of ideas on how to accomplish this! How about a web app, or something on the website, or a touchscreen mounted to the wall. But all these ideas meant a release date after finals and we weren’t even sure how useful this information would be to a student. Did we want to spend a lot of time on something we hadn’t done user testing on? Would they respond to this information or was this just one more input during their overloaded week? We looked to iterative design, which meant that we could do something simple to release during finals week, see how students responded, and go back to it to make it better with their input. Letting go of perfection let us embrace innovation and, more importantly, let us help students faster. The first concept design was basic. If students simply had a large monitor at the entrance of the UC San Diego Library with an arrow that pointed them left or right to the less occupied labs, they could find a computer more quickly. We quickly discovered that a single arrow was too basic for our physical space layouts. With different floors holding different labs, we needed more arrows, which would just be more confusing. So the design was updated so that the monitor highlighted the name of the lab, the location, and the number of workstations available out of the total. The team mounted the monitor on a mobile tv stand and then attached an ultralight computer to drive the display. We didn’t do a flashy announcement. 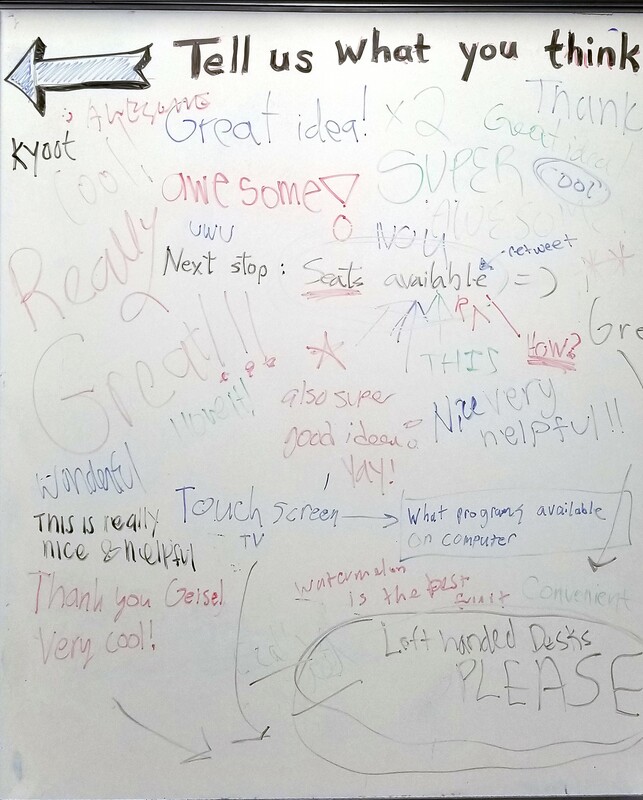 Instead, we rolled a white board (with markers) next to the monitor and asked students to give feedback. The comments were nearly instantaneous. Students loved this. It helped them find a computer during a week where they just didn’t need any more stress. We also got the feedback that this is what they needed and we got some great ideas on what else they would like on a dashboard like this – things we didn’t think about! Additional signage on each of the floors and computer labs would be very useful. Our next iteration will attempt to integrate floor occupancy data estimates from the Waitz platform. An iterative process meant letting go of the idea of a “final” product. It meant that we could try and fail without worrying too much about the investment. We could get feedback from our end-users immediately, and test the function in the physical space to see if there were issues we weren’t aware of. It allowed us to gauge the impact on other areas of the UC San Diego Library without permanently changing the environment. Innovation seems like something other people do in start-ups or with big enterprise projects. But we like to think innovation happens in our own little day-to-day activities that allow us to further student success by listening to the needs of the population and responding rapidly, without ego but with a desire to learn. At the end of the day, it feels pretty good to make a difference rather than getting caught up in a cycle of making it perfect. 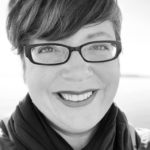 Jessica Hilt is the manager of Development and Web Services at the UC San Diego Library. Great write up. I am a fan of this approach. “An iterative process meant letting go of the idea of a final product”. Clever feed back loop. I hope all projects go this way. Bring value and then bring more value later.